A lively opening from both sides was to be expected and that’s precisely what happened, with some early Barça pressure, particularly from Ousmane Dembélé, a highlight. Gerard Moreno’s 12th minute shot against the post allowed the Yellow Submarine some respite as the Blaugranes consistently looked for an opening, and a series of free-kicks as a result of rash challenges kept the impetus with the hosts during the opening 20 minutes. Leo Messi and Dembélé went close as Barça started to dominate, and on the half hour Arturo Vidal was inches away from Jordi Alba’s wonderful cross. A few minutes later, Dembélé’s arrowed centre found the head of Gerard Piqué, and his solid connection was too much for Sergio Asenjo to handle. Asenjo had to be on his guard immediately after the break, as Messi’s low, driven pass almost found Vidal inside the six-yard box. Three successive corners and Barça’s persistence saw the pattern of the first half continuing in the second. Both teams then entered a period of play where they cancelled each other out in an attacking sense, before Carles Aleñá replaced Vidal with 20 to play, the Blaugranes seeking to remain on the front foot. Philippe Coutinho let fly with a trademark strike on 77 before Malcom’s late introduction for his fellow Brazilian injected some pace down the left flank. 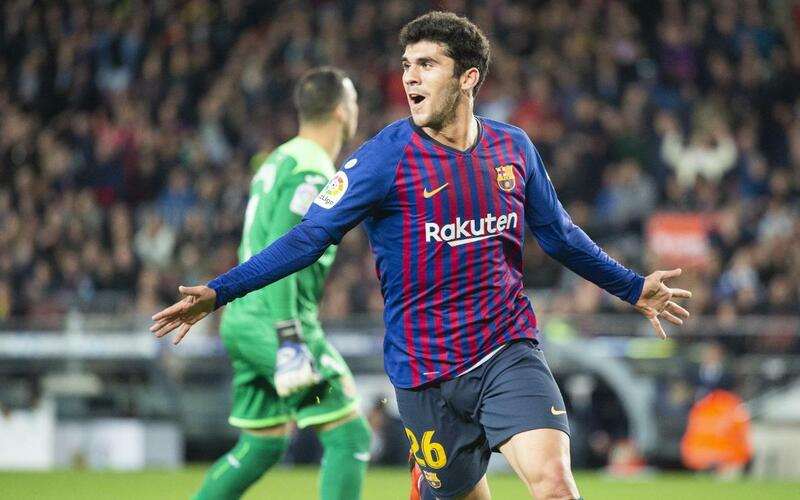 With time running out, a pinpoint Messi pass found Aleñá in the centre-forward position and the youngster made no mistake with a wonderful chipped finish. There was still time for Messi to unleash a goal bound effort that was well saved by Asenjo.